*1.Sustainable Development Goals (SDGs): These are shared global goals that were agreed at the United Nations, which stipulated global priorities and the ideal targets to be reached by 2030. The SDGs comprise 17 goals and 169 targets. *2. The Paris Agreement: This international agreement was adopted at COP21 and specifically addresses the issue of global warming. It was agreed that it is essential to hold the increase in global average temperature to well below 2°C above pre-industrial levels, achieving a balance between GHG emissions and absorptions by the end of this century. 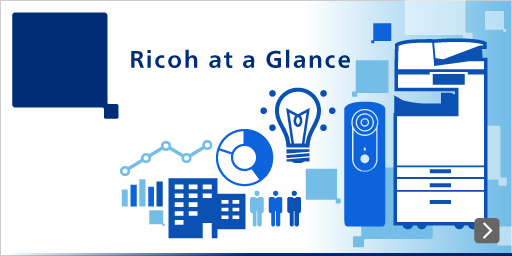 The Ricoh Group uses the back-casting method to set goals. In this approach, we first set final goals and then determine target values as milestones on the journey to these goals. As the milestones toward the final goal of the Three Ps Balance, we have set environmental goals for 2030 and 2050 in the areas of global warming prevention and resource conservation. We use these goals in the Environmental Action Plans, which we issue every three years in order to develop highly effective actions to achieve our goals. We recognize that it is important to maintain and restore the Earth’s self-recovery capabilities while reducing the damage to the environment. We conduct forest ecology conservation activities around the world for this purpose, and we are encouraging our customers and local communities to join the activities. Aim for zero GHG emissions across the entire value chain. *1 Represents the reduction levels, according to RCP2.6, which is a scenario to hold the increase in temperature, to well below 2°C in the future, as presented by the IPCC (Intergovernmental Panel on Climate Change). - GHG scope 1: All direct GHG emissions from the Company’s own manufacturing plants, offices, vehicles etc. Aim to achieve net-zero GHG emissions from its own business activities through comprehensive energy conservation activities and the use of renewable energy. Aim to establish a zero-carbon society by providing highly energy-efficient products and solutions and by actively encouraging business partners to do the same. Actively work on adaptation against climate change. Active and effective use of renewable energy. Support suppliers in their CO2 reduction activities. *2 Resource conservation rate of products is the rate of the reduction in new resource inputs to total resource inputs. Contribute to realizing a circular economy by promoting the efficient use and circulation of natural resources. Offer recycled products and promote further use of / conversion to sustainable resources with low environmental impact. Develop technologies to make products/parts smaller and lighter. Develop technologies to improve reliability of products/parts, such as technologies to make product life longer. Increase recycling rates of products/parts/materials by developing technologies for recycling and efficient use of recycled items. Reduce the use of materials at a high risk of depletion or replace them with other materials, such as biomass plastics and toner inks.